I hope you all had a fabulous weekend. I spent most of my time doing housework bleh. 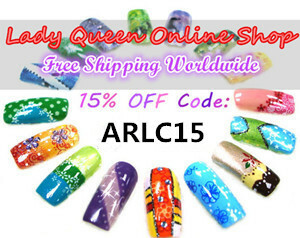 But I found time to hang out with my dear friend T. and she agreed once more to be my nail model to try out some new colours. 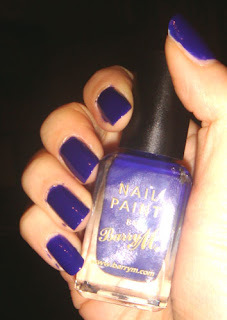 This time we tried out Indigo, one of the latest colours in the BarryM nail polish collection. Two coats with base coat but no top coat. 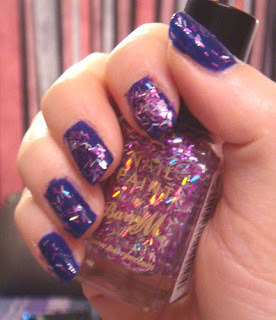 The colour is very pretty but we decided to add some glitter to spice it up. Here is the result after a coat of BarryM Once Upon a Time and a coat of Seche. What do you think of this combination? ^___^ thank you. It turned out to be a total party manicure. 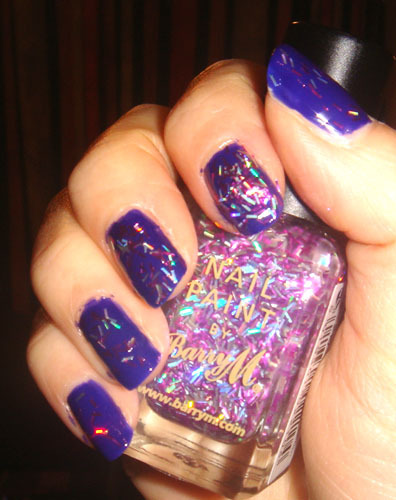 Love it,with or without glitters! It looks like you are ready to go to a party! 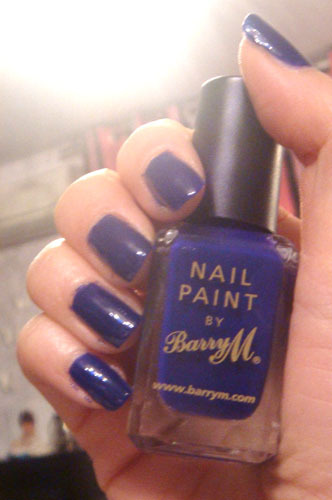 I love Barry M I need to order more! This was an interesting mani in the end. I wasn't sure how the glitter would look at first but my friend got a lot of compliments in the end.